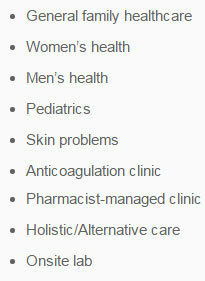 Cary Healthcare Associates, PA provides medical care to infant, children, adolescents. Besides providing routine health care, well child visits are important because they are effective in helping prevent and detect illnesses and problems before symptoms occur. A discussion of safety, nutrition, fitness, behavior, school, peer interaction, day-to-day family life, etc. The frequency of well child visits is generally determined by your healthcare provider and can vary depending on how experienced the parents are. As mentioned previously, the frequency of visits is intended to make sure your child is developing properly. Cary Healthcare Associates, PA providers encourage vaccinations and follow the CDC guidelines or Dr. Sears alternative vaccination schedule.Due to our commitment to protect all patients in our practice, we do not deviate from these schedules.